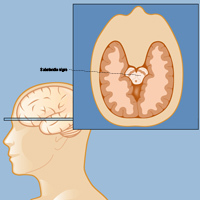 Parkinson’s disease originates in an area of the brain called the substantia nigra, where nerve cells normally use a chemical messenger called dopamine to send the signals that control movement. Parkinson’s disease is a brain disorder that causes tremor, muscle stiffness, slowness and other problems of movement. 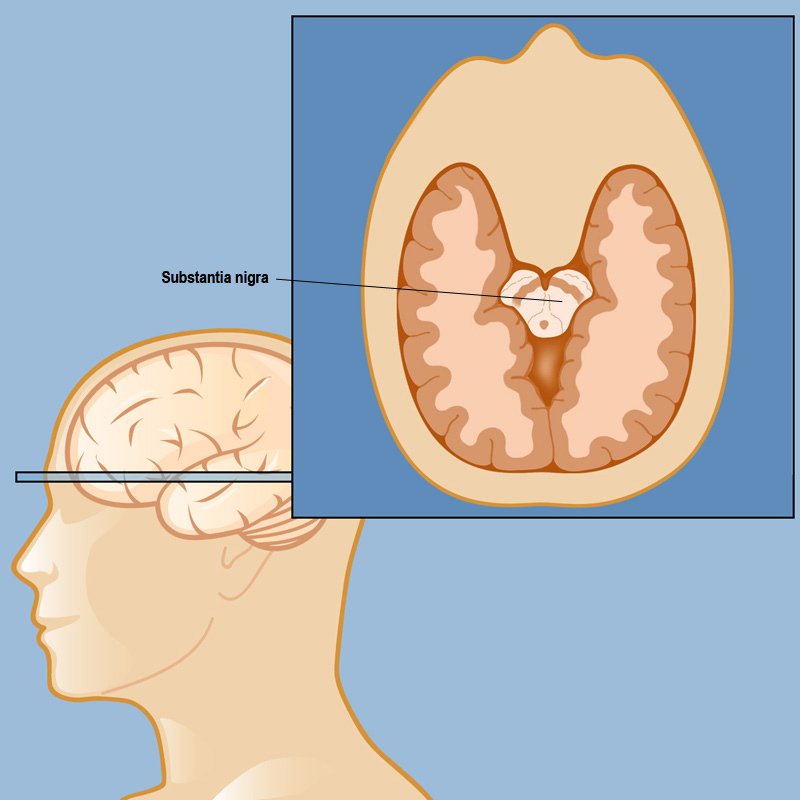 The condition originates in an area of the brain called the substantia nigra, where nerve cells normally use a chemical messenger called dopamine to send the signals that control movement. When this area of the brain does not produce enough dopamine, the body is unable to control movements normally, and Parkinson’s disease or other similar disorders can develop. Parkinson’s disease is a progressive condition, which means that the symptoms often worsen over time. The severity of the disease varies greatly from person to person and it is difficult to predict how Parkinson’s disease will progress in each individual — some patients are able to live relatively normal lives, and others might be severely debilitated. A related syndrome known as Parkinsonism (also called secondary Parkinson’s or atypical Parkinson’s) can also cause the tremors, slow movement, impaired speech, and muscle stiffness seen in Parkinson’s disease. However, Parkinsonism often has other symptoms, or a course of disease that is unusual for typical Parkinson’s disease. Parkinsonism may be caused by environmental toxins, medications, infection, stroke, or a wide range of other, more complex degenerative conditions. It is critical that a movement disorders expert evaluate patients, particularly those whose symptoms are not straightforward, since many treatments for typical Parkinson’s disease, including medication and surgery, may be less effective in atypical Parkinsonism. The exact cause of Parkinson’s disease is unknown, although extensive research is increasingly identifying important factors that may influence development of the disease and response to treatment. Parkinson’s disease is generally not inherited, and children of affected parents have a very low risk of developing the disorder. There are some rare forms of Parkinson’s disease, however, that can be attributed to an inherited alteration in a specific gene. As it turns out, the study of those particular “Parkinson’s disease genes” is helping researchers better understand what causes the more common, non-inherited forms of the disease. Parkinson’s disease can affect both men and women and mostly develops in people over the age of 50, although it can occur at any age. (Actor Michael J. Fox was famously diagnosed at age 30 and has become a leading spokesman for the disorder.) When Parkinson’s disease occurs in younger people, there is more often a family history of the disorder.